In my last post, I gave an introduction of the ROCR package and how to use it for ROC analysis. In the ROCR reference manual, it states “new performance measures can be added using a standard interface”, but I have not found that to be so. I may have missed some crucial step, but others have tried to adapt new performance measures. One example I came across had “patched” the performance code to use a new performance measure wss (Work Saved over Sampling). I liked some parts of what they did, but wanted to add my own measure and allow for a user to pass a new measure into a function without having to re-copy all the code. Let's say rows are predictions and columns are true values, but these are interchangeable. Essentially, I copied the performance function from ROCR, made some adjustments and put in my calculation (into the object meas_dice) in there. That's great! Now I have this handy function to use when I want. Although this solved my current problem, I thought more about how to add more cost functions in a more general way. What is all this code? Note that my.define.environments takes arguments, whereas .define.environments does not. This is a crucial difference; this is where you put your measure's code. We see that my.define.environments creates new environments too though! Yes, my.define.environments essentially does the same thing, but I can add my dice functiont inside my.define.environments and this measure can then be used in future work in other projects by using the same code. Moreover, the fact that arguments can be passed into my.define.environments allows you to create a measure on-the-fly. Below is an example of how you can use custom measures based on the code above. We can implement this cost function by supplying our measure, which must match our function name in funnames, the human-readable name in longnames and a list of 2-element character vectors in exprs. For scalar measures, the first element is "cutoffs" and the second element is the expression (to be evaluated by R) of the measure to be used. Viola! We now have a way to create any cost function (that can be formulated in the terms of the objects of a prediction object). As we already added .performance.dice to my.define.environments, we can simply call it as a measure. The length of funnames must be the same as that of longnames and exprs (exprs must be a list). You can pass in vectors of funnames and longnames and a list of exprs so that you define multiple measures. And we can pass in 2 new measures and get a performance object of them. In these cases, you will likely only want to pass in a maximum of 2 measures as a performance object will only compute 2 outputs for the x.values and y.values slots. Overall, you can add new measures to the performance object in R using the code above. It's a shame that the package is orphaned; I like using it for many ROC functions and measure computations. Then again, I'm not volunteering to maintain it. Although the package says new performance measures can be added using a standard interface”, I could not find a way to do so. Hopefully the code above allows you to implement a new measure if you ever choose to do so. Have fun ROC’ing around the Christmas tree! Boom! – You just got punned. I've been doing some classification with logistic regression in brain imaging recently. I have been using the ROCR package, which is helpful at estimating performance measures and plotting these measures over a range of cutoffs. where predictions are some predicted measure (usually continuous) for the “truth”, which are the labels. In many applications, predictions are estimated probabilities (or log odds) and the labels are binary values. Both arguments can take a vector, matrix, or data.frame for prediction, but dim(predictions) must equal dim(labels). In this post, I'll go through creating prediction and performance objects and extracting the results. "predictions" "labels"      "cutoffs"     "fp"          "tp"
 "tn"          "fn"          "n.pos"       "n.neg"       "n.pos.pred"
"list"      "list"      "list"      "list"      "list"      "list"
"list"      "list"      "list"      "list"      "list"
We see that each slot has length 1 and is a list. We see that all the slots are still lists, but now they have length \(10\), corresponding to the \(10\) predictions/labels. We would get the same result if the 2 arguments were matrices, but that would require all predictions and labels to have the same length. Using a list of predictions/labels is a bit more flexible. We see that the first argument is a prediction object, and the second is a measure. If you run ?performance, you can see all the performance measures implemented. We will do example of some commonly estimated measures: receiver operating characteristic (ROC) curves, accuracy, area under the curve (AUC), and partial AUC (pAUC). At every cutoff, the TPR and FPR are calculated and plotted. The smoother the graph, the more cutoffs the predictions have. 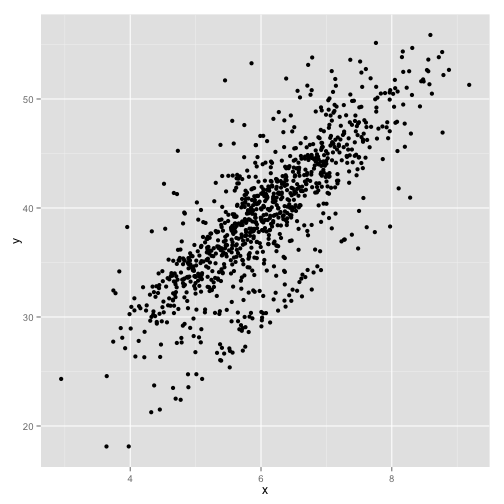 We also plotted a 45-degree line, which represents, on average, the performance of a Uniform(0, 1) random variable. The further away from the diagonal line, the better. Overall, we see that we see gains in sensitivity (true positive rate, > 80%), trading off a false positive rate (1- specificity), up until about 15% FPR. After an FPR of 15%, we don't see significant gains in TPR for a tradeoff of increased FPR. Essentially, the plot function on a performance object with multiple predictions and labels will loop over the lists and plot the ROC for each one. Overall, we see the performance of each prediction is similar. The pROC package, described in the conclusion, can test the performance between ROC curves. Advanced: If you want to see how performance objects are plotted, use getMethod("plot", signature = c(x="performance",y="missing")) and ROCR:::.plot.performance. You may only want to accept a false positive rate of a certain level, let's say 10%. The function pROC below will only keep values less than or equal to the FPR you set. 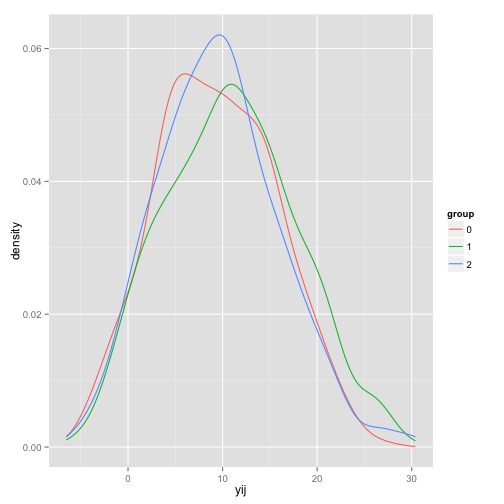 Thus, if we can only accept a FPR of 10%, the model is only giving 50% sensitivity (TPR) at 10% FPR (1-specificity). Now, there is a cost measure in the ROCR package that you can use to create a performance object. If you use it to find the minimum cost, then it will give you the same cutoff as opt.cut, but not give you the sensitivity and specificity. Thus, we have a different “optimal” cut point with this changed cost function. In many real-life applications of biomarkers, the cost of a false positive and false negative are not the same. For example, missing someone with a disease based on a test may cost a hospital $1,000,000 in lawsuits, but treating someone who did not have the disease may cost $100,000 in treatments. In that case, the cost of a false negative is 10 times that of a false positive, strictly in monetary measures. No cost analysis is this simple and is usually based on many factors, but most analyses do not have equal cost for a false positive versus a false negative. Hooray! Then you can go forth and threshold your model using the cutoff for (in hopes) maximum accuracy in your test data. We see that these cutoffs are not the same as those using the opt.cut from above. This is due to the the fact that the proportion of positive cases is much less than 50%. As you can see, the result is a scalar number, the area under the curve (AUC). This number ranges from \(0\) to \(1\) with \(1\) indicating 100% specificity and 100% sensitivity. Although this measure is more comparable to the full AUC measure, it is still low. Note, there is no “one” cutoff for AUC or pAUC, as it measures the performance over all cutoffs. Also, plotting functions for scalar outcome measures (such as AUC) do not work for performance objects. The code for the multiple predictions is the same. Note, use sapply instead of lapply if you want the result to be a vector. For ROC analysis the ROCR package has good methods and many built in measures. Other packages, such as the pROC package, can be useful for many functions and analyses, especially testing the difference between ROC and pROC curves. In some ways, you may want to use proc admissibly over ROCR, especially because (when I checked Dec 18, 2014) the ROCR package was orphaned. But if you are working in ROCR, I hope this give you some examples of how to fit the objects and extract the results. In my last post I described some of my commonly done ggplot2 graphs. It seems as though some people are interested in these, so I was going to follow this up with other plots I make frequently. 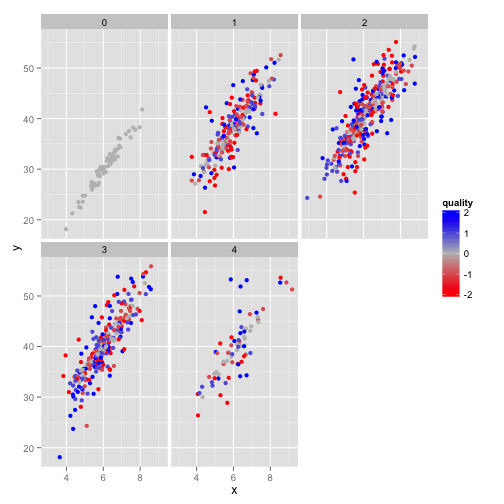 The setup of the data for the scatterplots will be the same as the previous post, one x variable and one y variable. I have added 2 important new variables, quality and batch. 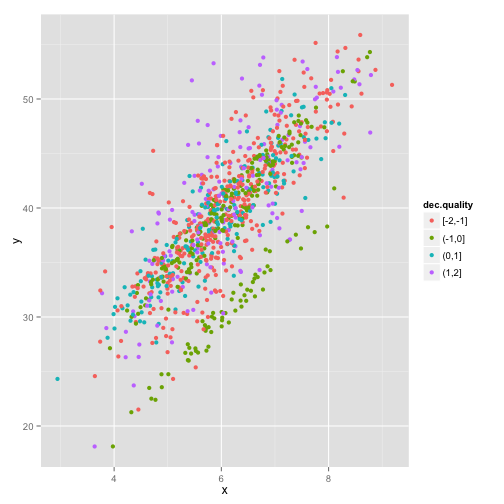 The motivation for these variables is akin to an RNAseq analysis set where you have a quality measure like read depth, and where the data were processed in different batches. The y variable is based both on the batch effect and the quality. We can see from this example how to color by another third discrete variable. In this example, we see that the relationship is different by each batch (each are shifted). We can compound all these operations by passing transformations to scale_colour_gradient such as scale_colour_gradient(trans = "sqrt"). 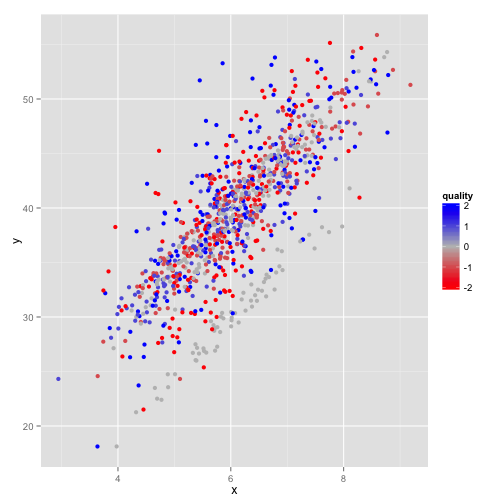 But enough with scatterplots. 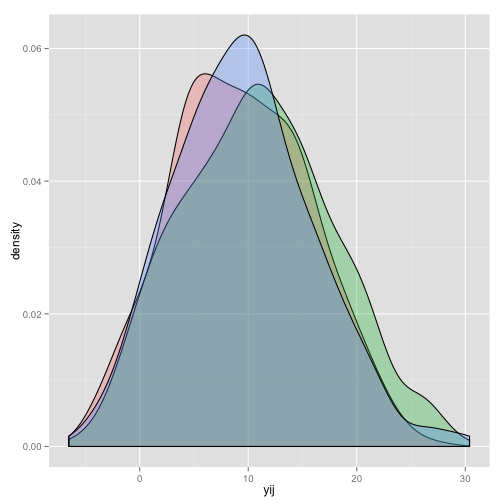 One of the gaping holes in my last post was that I did not do any plots of distributions/densities of data. I ran the same code from the last post to get the longitudinal data set named dat. 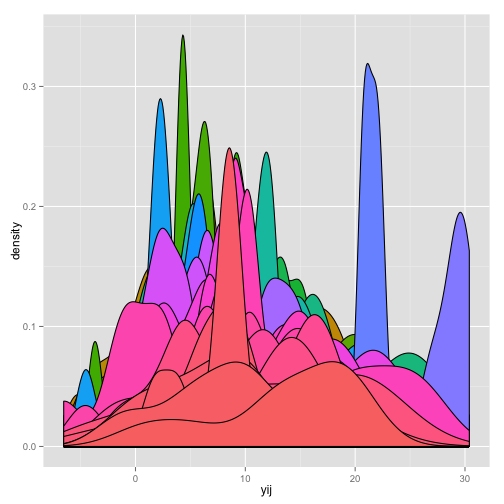 There are still too many histograms. 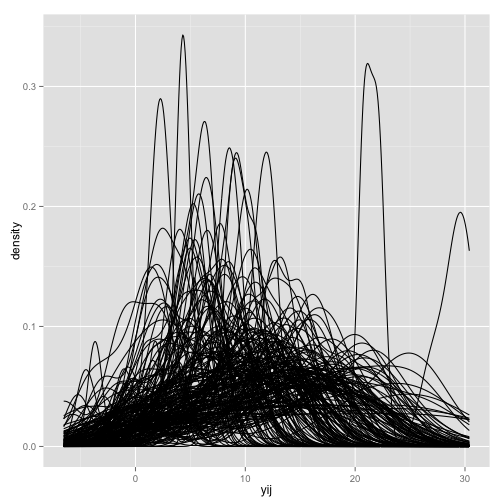 Let's plot a subset. 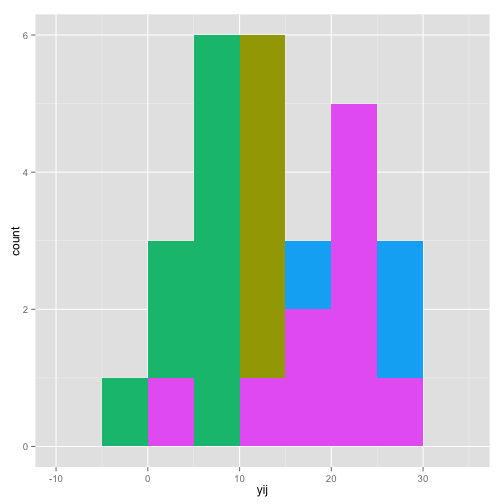 The %+% operator allows you to reset what dataset is in the ggplot2 object. The data must have the same components (e.g. 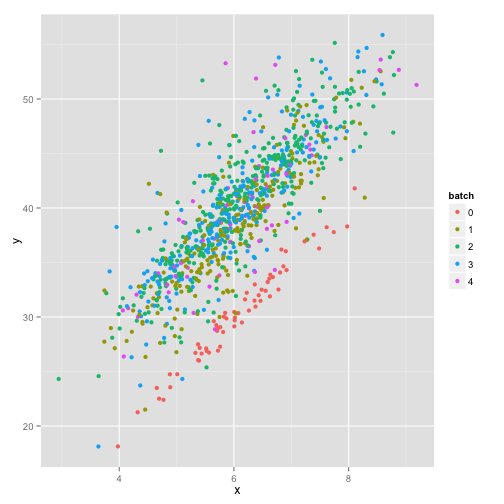 variable names); I think this is most useful for plotting subsets of data. 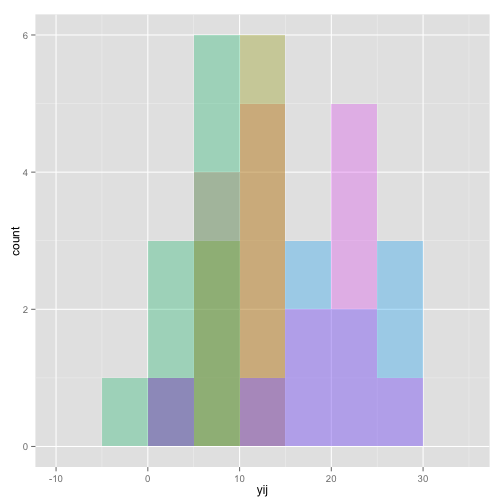 These histograms are something I commonly do when I want overlay the data in some way. 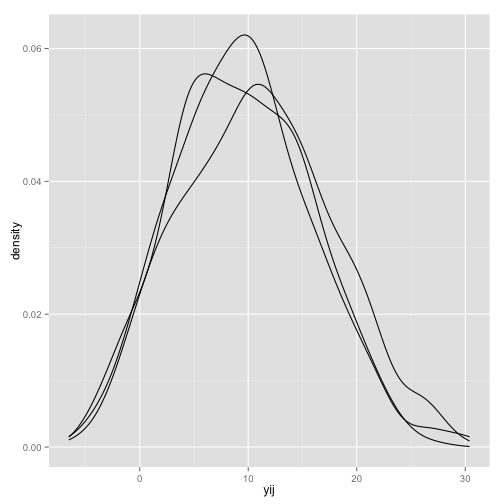 More commonly though, espeically with MANY distributions, I plot densities. What if we set the option to fill the lines now? Well lines don't take fill, so it will not colour each line differently. Now, regardless of the coloring, you can't really see the difference in people since there are so many. 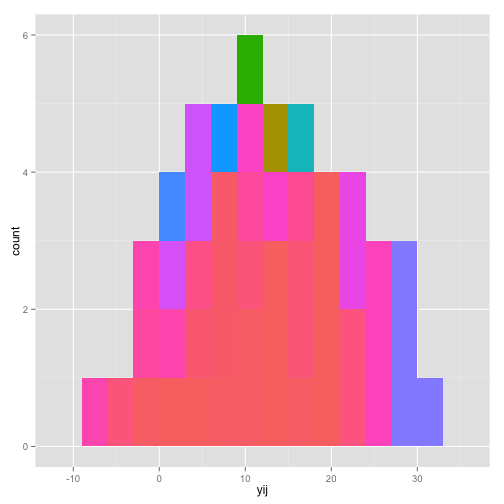 What if we want to do the plot with a subset of the data and the object is already constructed? Again, use the %+% operator. Overall, this post should give you a few ways to play around with densities and such for plotting. All the same changes as the previous examples with scatterplots, such as facetting, can be used with these distribution plots. Many times, you want to look at the data in very different ways. 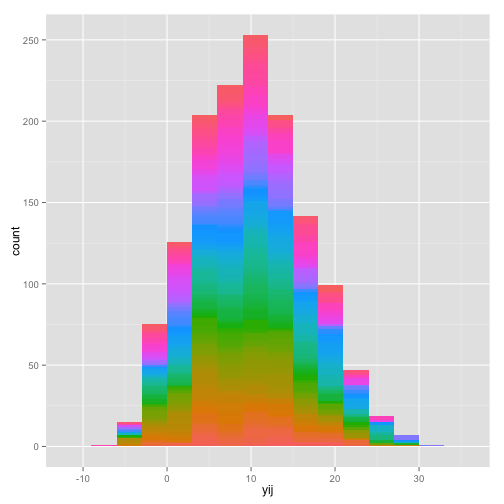 Histograms can allow you to see outliers in some ways that densities do not because they smooth over the data. Either way, the mixture of alpha blending, coloring, and filling (though less useful for many distributions) can give you a nice description of what's going on a distributional level in your data. You can also do boxplots for each group, but these tend to separate well and colour relatively well using defaults, so I wil not discuss them here. 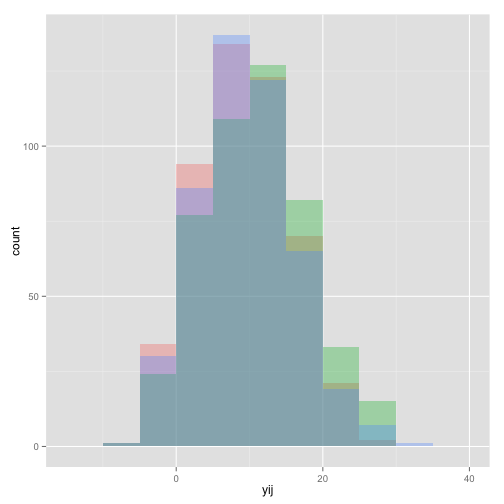 My only note is that you can (and should) overlay points on the boxplot rather than just plot the histogram. You may need to jitter the points, alpha blend them, subsample the number of points, or clean it up a bit, but I try to display more DATA whenever possible.